At first glance, bad and badly look simple and are quite easy to use. 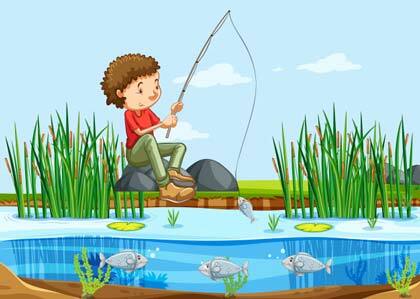 However, misusing both words is a common grammatical mistake, especially among the beginners. Mostly, people don’t realize that they use bad and badly incorrectly in their writing because we hear both words misused frequently in casual talk. Even though the first expression might occur in casual or informal speech sometimes, but you should avoid it in good or formal writing. To eliminate such a mistake in your writing, then keep reading the following discussion about bad vs. badly grammar rules. 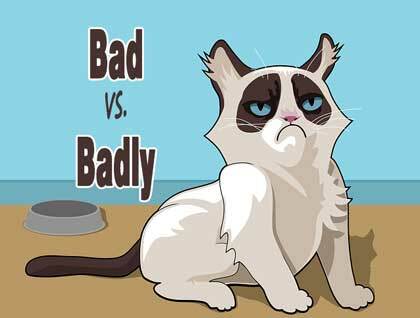 When deciding whether it needs bad or badly, you need to remember that bad is an adjective and badly is an adverb. Each word has a distinct function as follows. To modify a noun, you should use bad. She had a bad influence on his younger sister. Did you have a bad day at school? The event was canceled because of bad weather. Parents blame their children poor test performances on bad teaching. The fuel crisis wasn’t only a bad news for riders but also for most people in this country. On the other hand, to modify a verb, you should use badly. He treats his brother badly. She sang the song badly. The article was translated badly into English. We lost the match because he played badly. The company had been badly managed from the start. Based on several examples above, we can see the pattern that bad is followed by noun [bad + noun], while badly comes after a verb [verb + (noun) + badly]. Bad and badly are most often confusing when they follow linking verbs. These verbs usually include verbs that describe a state rather than an action (e.g., to be, seem, and appear) and verbs that describe sensory experience (e.g., look, seem, feel, sound, and taste). A modifier after one of these verbs refers not to the verb, but to the subject. So in these cases, an adjective (bad) is needed instead of an adverb (badly). Some guides include a rule that ill should be used after verbs like feel, seem, or look if the meaning is 'in poor health'. Although there’s no universal agreement on this subject, it’s often better to follow the rule. Well, that’s our discussion about bad vs. badly grammar rules that might help you in improving your writing. If you want to learn more about English grammar and punctuation rules, vocabularies, conversation, or even text genre, just click on the related table given. Don’t forget to share this article if you like it by clicking the share button down below. “Bad, badly.” Microsoft Student 2009. DVD. Redmond, WA, USA: Microsoft Corporation, 2008.